RMS Skip Hire is a notable waste management and skip hire company in Bexley. We take pride in offering the finest quality waste management and skip hire services for residential, commercial and industrial projects. We strive to offer the best value for money, which makes us one of the most reliable skip hire companies in Bexley. Our skilled and experienced skip hire professionals aim at maintaining the highest standards of customer service. What distinguishes us from others is our unfaltering attitude to provide equal importance to each client. We tailor our skip hire and waste management services to suit your needs. Our team focuses on maintaining clear communication with an intention to avoid doubts and confusions. We extend our support to you at each and every step of the skip hire process, so that you can hire idea skips for your project. You can take advantages of our online skip hire service to save your precious time. We have an advanced fleet of vehicles that allow us to deliver skips at your home or job site quickly. Our ultimate goal is to fulfil your skip hire and waste management needs as efficiently as possible. Our competent team can also arrange, skip hire permits for you in case you do not have the required private land to place the skips. We offer eco-friendly waste management solutions to clients across Bexley. Our experts segregate recyclable materials from the waste collected from your premises and send them to the recycling facilities. 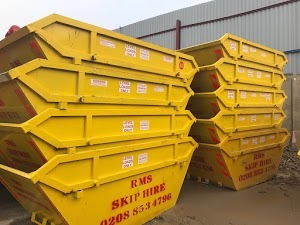 So, if you are looking for affordable waste management and skip hire solutions in Bexley, get in touch with RMS Skip Hire as soon as possible.